Are You Healthy Or Not? 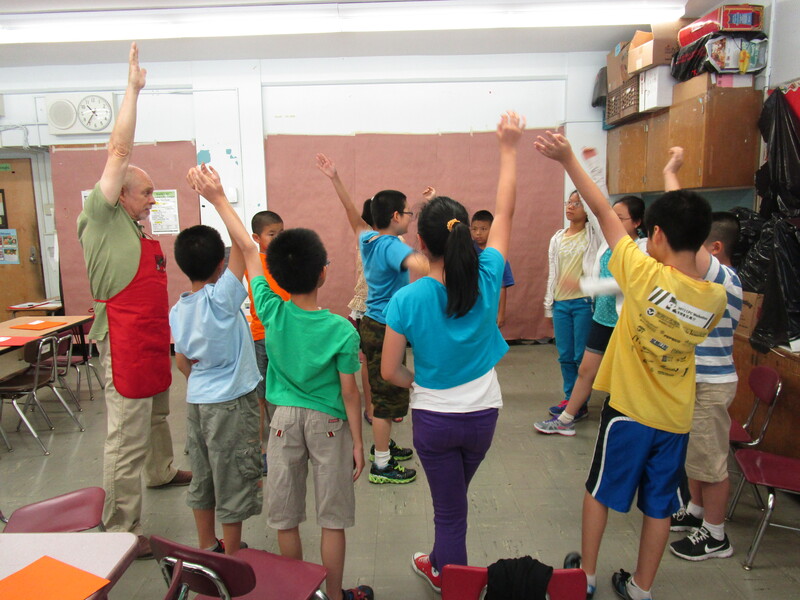 This summer Mr. Maurice Held, Cornell University Cooperative Extension – New York City community educator, came and taught the students at P.S.2 about nutrition. Students learned about healthy diets (such as eating more grains, fruits, vegetables etc.) and different recipes that were both tasty and healthy! (For example: water with a twist, apple cinnamon wrap and rolls, and black bean salads.) This encouraged the students to eat healthier. Students learned about how it is important to eat the five food groups and about portion sizes. Students learned how to tell if the product is whole grain or not, and how it is important to eat whole grains to make sure you get all the vitamins and fiber that are missing in non-whole grains. It is important to eat more fruits and vegetables and less sugar and salt. By eating healthy, you can help prevent heart disease, cancer, diabetes, and help control your weight! Many students found that they enjoyed the program and started reading the nutrition labels of their daily meals. Ms. Miraflore spied her third grader, Zi Xuan, studying and comparing the nutrition labels of his crackers intently before exclaiming, “Hey! This has more salt!” or “Your snack has more sugar in it than mine!” The students also learned many games and activities related to the class that day. Mr. Maurice taught the class how it was important to both eat healthy and to exercise! You can exercise more by playing different active games with your friends and family. After some fun games and learning, it was time for the students to learn how to cook! Every class, three students were chosen to cook. 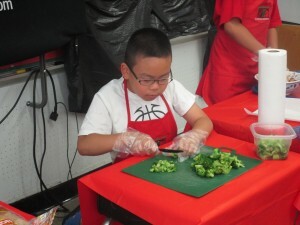 Student chefs chopped apples, tossed salads, and served delicious (and healthy@) foods to the class. Sometimes the students would ask Mr. Maurice if they could have water with a twist. 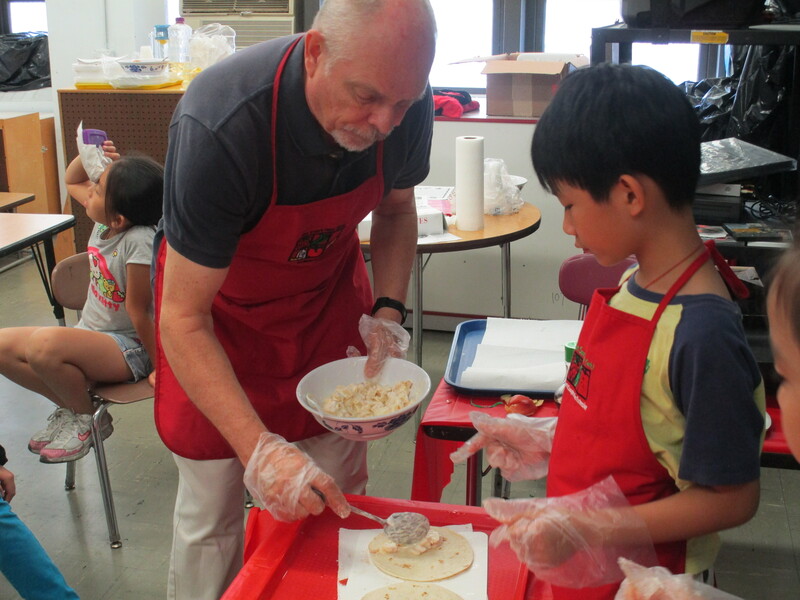 The students liked to try the different recipes. They especially liked the apple cinnamon wrap and roll. 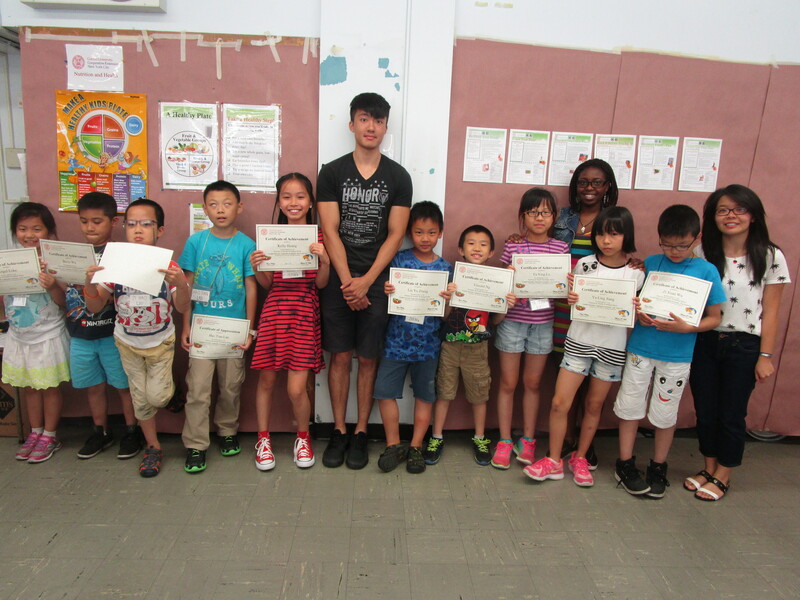 The students really enjoyed the summer’s nutrition workshop and learned so much! It was fun to cook, eat, and learn some yummy recipes! Thank you Mr. Maurice for a fun, educational, and tasty summer! This entry was posted in NEWS and tagged Cornell Cooperative Extension, CUCE-NYC, family, farmers' markets, food, health, healthy recipes, New York City, nutrition. Bookmark the permalink.